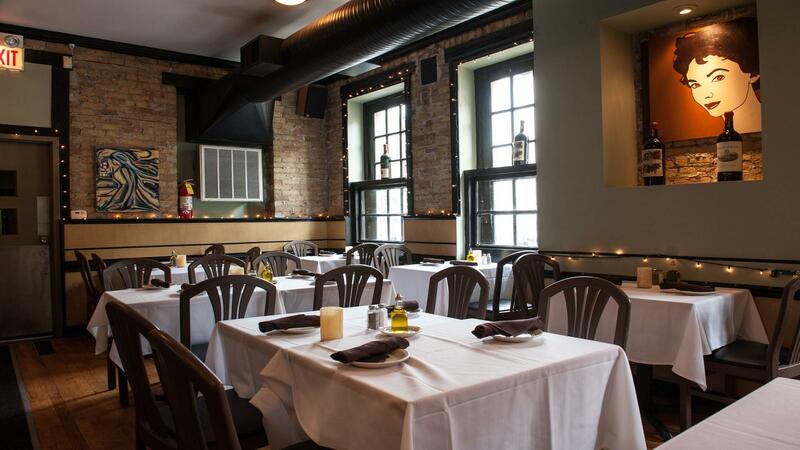 Rent Sapori Trattoria | Corporate Events | Wedding Locations, Event Spaces and Party Venues. Sapori has built its reputation by making its guests important and balancing high end service with a casual atmosphere. Sapori provides an upscale casual dinning experience in a neighborhood setting. Sapori Trattoria was founded in 2001 by Chef Anthony Barbanente. Although a Chicago native, Chef Anthony lived a significant part of his life in Southern Italy on his grandfather's farm. In Italy he learned the Italian way "l'ambiente Italiano"--how Italians lived and enjoyed life. He also had the great blessing of growing up in a restaurant family where his father was a chef. Even though Sapori opened in May 2001, the restaurant did not flourish from the get go, but struggled and almost closed in 2003. Nevertheless, over time and with persistence and perseverance, and most of all with God's help, Sapori grew to be the neighborhood darling that it is now. Even though very successful today, the restaurant has remained committed to its founding principles. Recent accolades include Chicago Magazine voting Sapori's homemade pumpkin ravioli as the "Best in Chicago". Zagat noted Sapori as one of the top 1000 restaurants in the USA. Acclaimed WBBM Food Critic Sherman Kaplan gave Sapori 19.5 points out of 20, one of his highest reviews ever for a neighborhood Italian restaurant. Most recently, OpenTable.Com listed Sapori as one of the Top 50 Italian restaurants in the USA. Sapori has built its reputation by making its guests important and balancing high end service with a casual atmosphere. Sapori provides an upscale casual dinning experience in a neighborhood setting. The restaurant is famous for its homemade pastas like the "Lobster Ravioli" and the "Cappellacci Di Zucca."